Can’t make a lifetime commitment? 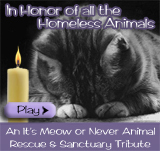 Want to help a homeless animal? Have a lot of love and a little room in your house available? Consider fostering an animal for Animal Friends for Education and Welfare (AFEW) – the rewards are overwhelming. When you foster for AFEW you will receive all the tools you need to do the job, and a healthy, clean pet to care for. Your only commitment would be to love, socialize and in some cases train your foster pet. You would have to commit (within reason) to getting your foster to our adoption days. AFEW will train you in what you need to know and supply medical, food requirements and supplies as necessary. AFEW will also supply coverage in the event you travel or go on vacations. Fostering is a pretty intensive way to volunteer, it primarily involves caring for the pets as if they were your own. It is extremely rewarding to help an animal get on its feet and watch it go off to a new home. Watching that horribly thin dog put on weight and glow with energy, caring for an animal that was abandoned and afraid and see them play again or having that shy cat curl up in your lap for the first time is an unexplainable experience. Will you get attached? Yes. 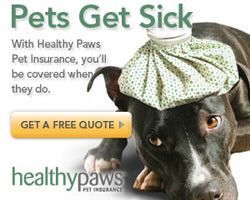 Will you feel like you want to keep the dog? Probably. For how long is a dog fostered? Days, weeks, even months. It all depends on the needs of the dog and our ability to find the appropriate permanent home. Can you keep the dog? Not if it has been matched to an approved family. Will this dog feel like I am another person abandoning him or her? No way!! While this dog has been living with you, whether it has been days, weeks or months, it has learned many things. He or she has heard his name used with kindness, and he has learned to be a part of a family. He has learned confidence and has come to expect each day of his life to be better than the day before. Dogs live "in the moment". So then what happens? The day your foster goes to his or her forever home, YOU will be the one crying, and a new family will be the ones who are happy and excited. Your foster dog wonï¿½t be thinking of you or missing you, but will be thinking. ï¿½WOW ï¿½.how much better does it GET?ï¿½ That night you will swear that you will never foster another dog. Within a day or two, youï¿½ll want to know how your foster is doing, and youï¿½ll let us know that youï¿½d consider fostering again. And suddenly, youï¿½ll be anxious to do it again. Although itï¿½s hard to believe, those separations become easier with time. Your heart will swell with pride and satisfaction for the lives youï¿½ve saved and the families youï¿½ve helped to complete. You are probably the first person, possibly in their lives, who has been kind to them. You will sacrifice a bit of your heart and a lot of your home to the animals. But you have to remember that the gift is in the goodbye. Fostering is really a lesson in unselfish love. When you get that picture of your foster smiling and happy with their new family remember because of YOU their lives have just begun – you gave them that second chance. With thousands of animals being euthanized every day in the State of New Jersey, it may seem insignificant to help only one – but believe me it makes a difference to that one. It is one less to suffer, go hungry, be hit on the road or be euthanized because the shelters are filled up. It is one less mother giving birth in the cold and trying to keep her babies alive. As we say in the rescue business – adopt one, save two – the one you adopted and the one that will now come into rescue. Fostering helps that one get adopted! 100% of your donation will go to the care and welfare of the animals. Click the PayPal button below to make a donation. We have chosen Kuranda dog beds for our rescue animals because they are so good for our dogs. 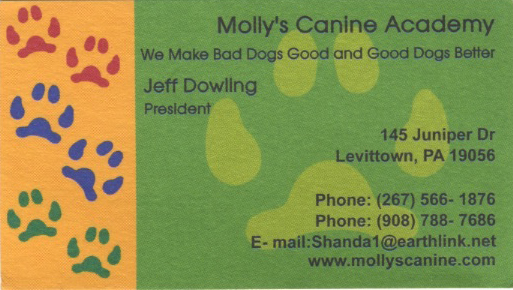 We also work with the Hamilton Township Animal Shelter dogs. We still don't have enough for all our canine friends. If you would like to donate a bed so rescue or shelter dog can sleep in proper comfort, please click here. Donating a car to AFEW allows us to provide care and medical needs to homeless animals. Your help is just a click away - send an email or call 1-800-240-0160 to request information today! Animal Friends for Education and Welfare, Inc. (A.F.E.W. ), is a 501(c)3 non-profit organization.